Building a new business is an exciting journey to begin. There are all kinds of ideas floating around in your head and of course, your dream is to be successful. Before starting any kind of business, it’s important to be mindful of having a budget to cover all of the tools and resources that you will need to get up and running. You can be sure that some things might pop up that you didn’t think about from the get go, but having a general idea is a good enough start. When I did an interview with LaShanda Henry of SistaSense.com, she talked about this subject and gave some insight on how to build a business on a budget. In the interview, she mentioned something she calls “spaghetti marketing” which means throwing something out there in the marketplace to see what sticks and what doesn’t. I resonated so much with this term because it’s exactly what I would do when I first got started in online business. This is why I swear by having a plan for stability, which includes a budget for business. Now, we all have some idea about budgeting. If you are a mompreneur running a household like myself, then you know that bills have to be paid and the kids need their stuff too. To do all of that, the money has to be there and so a system should be in place. You don’t have to go as far as putting it in writing, but it would be a good idea to schedule bill payments so that you can also enjoy extras due to keeping your spending and income under wraps. These are the essentials and (not to mention) the rewards of having a budget. Let’s get into the benefits of a budget for business. This may not be an easy task at first, I’ll be honest. But just like everything else, if you can dig and get out all of the details first, the process will get easier down the road. How can a budget help your business and in what ways? You can avoid overspending on products that you really don’t need– Overspending is easy to do especially when you want it and don’t need it. A budget can help you regulate your spending with some sort of discipline. My suggestion: separate the “wants” from the “needs” first. Then, you can make a list of what you need at that given time. The trick here is to ONLY get what you have written down. Women are natural browsers so it’s not uncommon to see other things we might want which aren’t on our lists. But if you only get what you have written down, you’ll be officially exercising that self-control muscle. And if you really need to have something other, put it on the next list and get it at that time. You become a better negotiator– This is a whole different ball game. If you take out a loan for something, you have to be able to pay it back. If you have a budget in place, you’ll be able to do that plus take care of home and business. This also goes back to being an anti-overspender. My suggestion: leave a loan alone if you can. I’ve had my share of being in debt since I’ve started my business, but I could never wrap my mind around going for a loan. I’ve sold things in my house, I’ve sacrificed things that I wanted to have money to put back into my business, and I hustled harder because I needed money to survive. If I didn’t have clients, I put myself out there even more to get some. I even bartered for business at times if I had the opportunity. You can get accuracy of how your business is doing– You’ll have a clear picture of what your business is looking like every minute of the day. You’ll know exactly where your money is going, what’s coming in, etc. You don’t want your accountant or bookkeeper fussing at you about YOUR money. My suggestion: keep a spreadsheet of what’s coming in and what’s going out. You can use Google Drive to keep this information accessible. If you provide a service, use invoices from Paypal or whatever billing service that you are using. Being organized from the start is the best way to stay on track. You’ll know the start-up costs for your business-There will never be a time where you don’t have to spend money but like I mentioned before, having a general idea of start-up costs is essential. My suggestion: make a list of all the tools you’ll need to begin with. This would entail doing a little bit of research if you’re not sure about it. I wouldn’t go overboard with trying to get everything, so starting with the basics will get you going. As you start making money consistently, you will be able to get more things down the road. You’ll know your monthly operating expenses– This is very important because if you are outsourcing for website maintenance or something of that nature, you want to make sure you have the funds to keep it in good standing and running smoothly. Let’s look at how to build a budget for business. As your business grows, so can your budget. Let’s make that clear. You can amend it to meet the needs of business and here’s how you can put a framework in place. Start at the bottom and work your way up. Start with the items you will need to account for in your business: (In regards to a home based business) home office supplies, product creation tools, incorporation, outsourcers, etc. Gather all the info you can and create a spreadsheet. I give this to all my clients in the business planning stage of building an online business. Next, go into more detail. 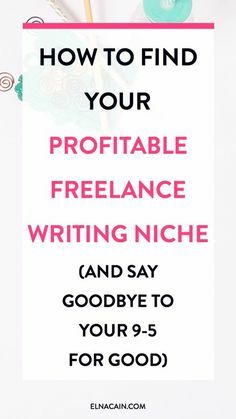  For example, if you will need to hire freelancers or a virtual assistant, break it down to detail the hourly rate you can afford to pay them, and how many hours they will work each week. Then, according to what you come up with, you can seek to find a good fit. Breaking ground. Most of the time, businesses will spend a little more in the beginning. But your regular budget will be composed of monthly costs following the initial kaboom from the start up. Have an idea of what you need to start your business and then to maintain it. Will you need website design and set-up, content for your marketing, autoresponder set up for email marketing, etc? Overall, every business (both online and offline) needs to have a budget in place. Hopefully these tips will help you begin to frame yours!